I have never been one for the horror genre. I'm not necessarily easily scared and I have a real love of things paranormal, but I'm not drawn to the horror genre in the way a lot of people are. Hereditary is Ari Aster's feature directorial debut and he truly knocked it out of the park. There's no denying that whether people loved it or hated it, he made everyone in the cinema feel some kind of way. Hereditary's main themes are grief, home and family relationships. Toni Collette (Annie) and Gabriel Byrne (Steve) play mother and father to Milly Shapiro (Charlie) and Alex Wolff (Peter). Annie's mother has just passed away and the family are going through a tough time dealing with it. We don't get the time to know this family before the grandma's death and therefore we enter this weird space with them and that's what's so uncomfortable about this movie. Annie is an artist who is building different model sets for an exhibition. The film begins with a shot that pans from the window into her workshop and zooms into one of the rooms. Pawel Pogorzelski (cinematographer) and Ari Aster worked together with their production designer, Grace Yun, to create a very voyeuristic feel to Hereditary. A lot of the shots in the home are from a distance and make us feel as though we are watching inside of a model home, being able to see the whole room instead of just focussing down on the characters. This is incredibly unique and it places the audience in the position of discomfort as we feel we are watching when we really shouldn't be. The early plot twist in this film is what kicks the narrative off and really sets the ball rolling. The family have already been through one devastation together and now they are left to deal with another. The slow descent into madness is what keeps viewers hooked. You feel for Steve who is trying his best to hold everything together, you grieve with Annie who is going through inner turmoil and you hide with Peter who would love nothing more than for all this to go away. I wanted a moment to share with you how blown away I was by Milly Shapiro's performance as Charlie. I want to keep the analysis as spoiler free as possible but I've seen this movie twice now and both times she has made me cry in one particular scene. One moment I must discuss and urge you all to pay attention to is the first group therapy session Annie attends. Listen to what she's saying, it feels like word vomit (in a good way) but it's so very important to the plot and will help you understand the narrative better and it also gives you such unfiltered insight into the character of Annie. That scene, along with many other moments, are what display the brilliance of Toni Collette so perfectly. If you're a real lover of jump scares and dramatic moments, this film is not for you. It isn't scary in a sense that you're relentlessly shocked over and over by crescendo, it's terrifying in the sense that you become so aware of yourself as a viewer watching this family go through such horrific things. You, yourself, are the horror. You're watching and you cannot do anything to help them. 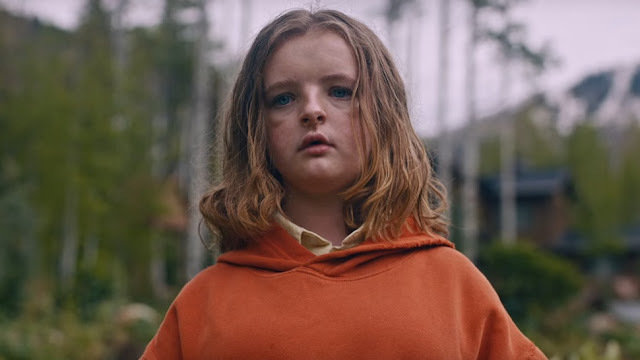 The only negative point I have to share about Hereditary is how I felt that by the end it had become very aware of its run time and therefore the ending felt a little unexplained in first viewing. You pick up more pieces in a second viewing which allow for a more complete experience and therefore this is definitely something you have to see twice to fully comprehend.